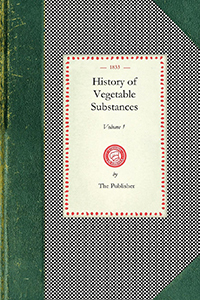 The History of Vegetable Substances Used in the Arts, in Domestic Economy, and for the Food of Man was originally published anonymously in London in 1829, by the "Society for the Diffusion of Useful Knowledge." The author was Robert Mudie, better known fo his books on birds. 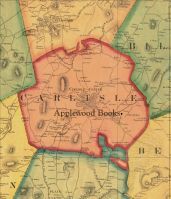 The first American edition of the 2-volume set was published in Boston in 1833. 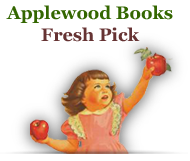 Volume I focused on timber trees and fruits; Volume II on grains, root vegetables, wild plants, gardening, spices, and more. This is Volume I. Illustrated with botanical drawings.